Well, sort of…but not quite. Sorry, folks, but I just HAD to share this one, while also filing it under my "mucho cojones grandes" file.... For real. It seems a homeless man allegedly broke into a California bar and served drinks to unsuspecting patrons all weekend long -- before the police came calling. The bar, called the Valencia Club, had gone out of business for some time and its liquor license had expired, police said this week. But the suspect, somehow got into the California establishment in the Penryn area of Sacramento Valley last week. He reopened the bar using beer he bought from a nearby store. The man allegedly started with a six-pack of beer and used money he received to buy more alcohol. He kept the bar open for 4 days (yes, you heard me…4 days) serving about 30 customers a day, authorities said. He was so successful that a local newspaper did a story about the bar reopening. Unfortunately though, (for him, anyway) he was finally busted when a detective went to the bar to determine if the man had obtained a liquor license. When he couldn't provide one, he was arrested and charged with burglary and selling liquor without a license. A large amount of alcohol and cash was also confiscated from the bar. Talk about "enterprising." Sort of makes you wonder how a smart guy like this – could ever be down on his luck or homeless in the first place. Needless to say, the recent oil spill in the Gulf has had us all wondering: Is the seafood we’re seeing (and buying) at our local fish markets safe? Well, the state of Florida seems to have put forth an effort to do something to help promote public awareness about the availability of seafood from its own waters. Webcams have been placed at several seafood harvesting, processing and retail sales locations around the state to show that "Florida is in business." The seafood establishments being featured are located in the Panhandle Gulf Coast region: Pensacola, Santa Rosa Beach, Tallahassee, Destin and St. George Island. The webcams are operational only during normal business hours for each establishment. Some cameras might be turned off at the time you are viewing. If so, you can visit again during the establishment's business hours, to view the webcam activity. Webcams. Yes, that’s right. So now if you're curious about what local seafood is being caught and sold, now you can take a glimpse before you head to the sandy beaches of the Florida Gulf coast. You can survey selection and price. And yes, you too, can be a real seafood counter "insider." Just as many of us cocktail lovers might have already guessed, not all poolside drinks are created equal. 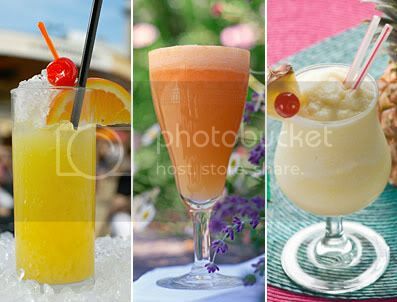 From margaritas to pina coladas to screwdrivers, to Long Island Iced Teas, The Daily Beast ranks 21 drinks based on which fit a summer diet—and which stretch our ample backsides a swimsuit. 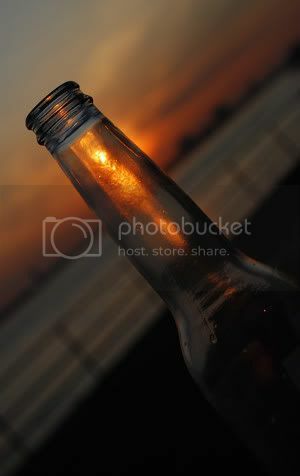 Summertime tends to produce a spike in drinking—poolside cocktails, backyard barbeques, after-work mixers. And while food tends to make us more calorie conscious, meaning, that you don't need a nutritionist to tell you that you'll most likely be wearing that hot fudge sundae you just scarfed down across your hips and thighs tomorrow—drinks still remain a rather menacing puzzle. After all, it's only a drink, right? Liquid, not solid. Therefore, how many calories could there really be...in a glass. These days who needs iPad apps for cooking guides, when all you have to do... is slip on an apron? 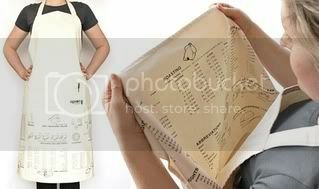 And to really make it user friendly, the information is printed upside down so that it can be viewed right side up by pulling up the bottom of the apron. I've seen many a backyard barbeque argument start over it, and have even seen a few backyard "male bonding" sessions totally disband over it. 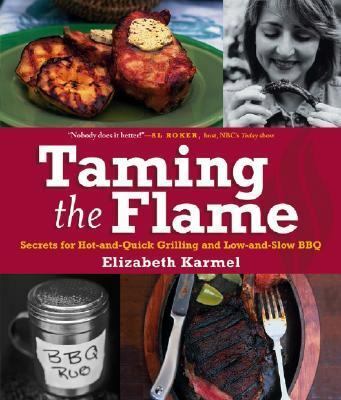 So this Fourth of July weekend, I've decided to let Elizabeth Karmel, author of Taming the Flame and creator of GirlsattheGrill.com website (don't you just love it! ), demonstrate the *right* way to light a charcoal grill with firestarters and briquettes. Happy 4th and happy grilling!